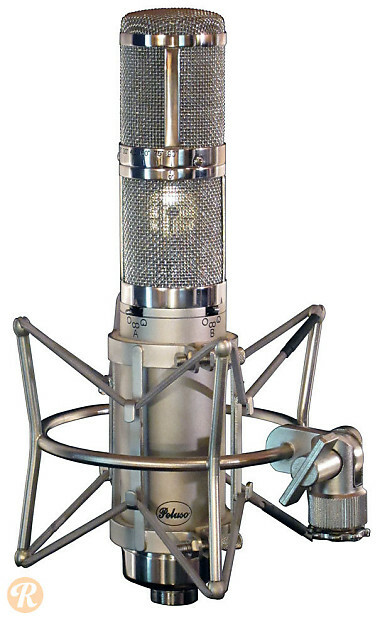 The Peluso P-Stereo is a large diaphragm stereo condenser microphone which aims for the sound of the Neumann SM 69. Each capsule can be set for cardioid, omni, or bidirectional polar pattern, and the upper capsule can be rotated up to 90 degrees. A -10dB pad is on the rear of the microphone for use in high SPL applications. While it operates best with its own power supply, the P-Stereo can also be run on 48V phantom power with compromise to max SPL handling.